Love’s Work by Gillian Rose. A Savage Country: The Untold Story of New Zealand in the 1820s by Paul Moon. Judaism and the Visual Image: A Jewish Theology of Art by Melissa Raphael. Forrester on Christian Ethics and Practical Theology by Duncan B. Forrester. 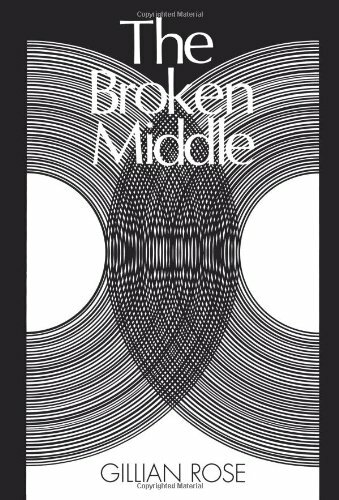 The Broken Middle: Out of Our Ancient Society by Gillian Rose. Nostalgia for the Absolute by George Steiner. Lincoln’s Melancholy: How Depression Challenged a President and Fueled His Greatness by Joshua Wolf Shenk. Grandma McGarvey Paints the Shed by Jenny Hessell. The Voices of Silence by Andre Malraux. The Church Transforming: What’s Next for the Reformed Project? by Michael Jinkins. Beside the Ocean of Time by George Mackay Brown. Babel by Mumford & Sons. 3 Pears by Dwight Yoakam. Debut by Chance Mccoy & The Appalachian String Band. Abigail Washburn & The Sparrow Quartet by Abigail Washburn & The Sparrow Quartet. Damages: Seasons Four and Five.